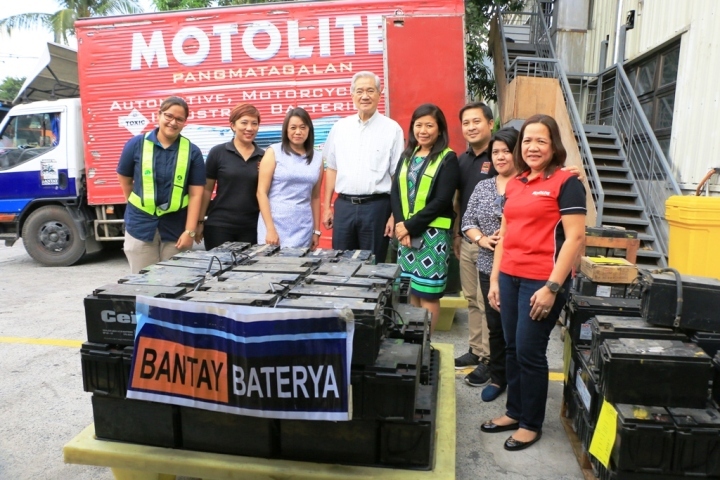 Four thousand kilograms of used lead acid batteries and approximately 600 litres of used oil were recently turned over by Light Rail Manila Corporation (LRMC) to Bantay Baterya and Langis during the hauling activity at LRMC Compound, Pasay City. In partnership with Genetron International Marketing and Oriental & Motolite Marketing Corporation, the monetary value would benefit Bantay Kalikasan’s environmental endeavors. The partnership sealed last March 2016 has materialized as evidenced by the hauling of LRMC’s used lead acid batteries and used oil. Beyond its monetary support, the hazardous wastes of LRT 1 could lessen environmental degradation through environmentally safe transport, recycling and disposal, and at the same time, help the cause of ABS-CBN Lingkod Kapamilya Foundation’s Bantay Kalikasan projects.